Today is Tuesday, Sept. 25, the 268th day of 2018. On Sept. 25, 1981, Sandra Day O’Connor was sworn in as the first female justice on the Supreme Court. In 1690, one of the earliest American newspapers, Publick Occurrences, published its first _ and last _ edition in Boston. 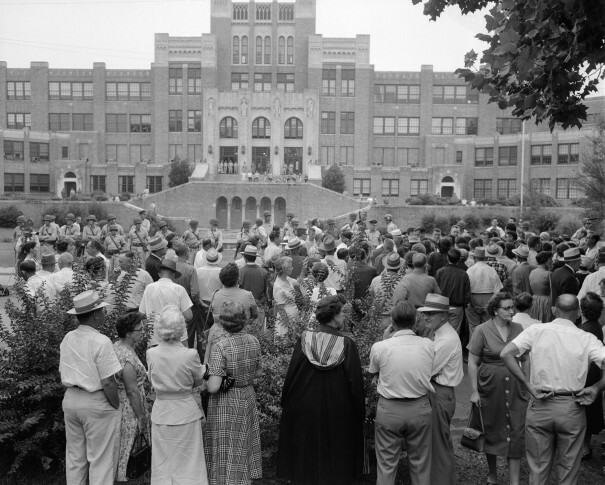 In 1957, nine black students who’d been forced to withdraw from Central High School in Little Rock, Arkansas, because of unruly white crowds were escorted to class by members of the U.S. Army’s 101st Airborne Division. Ten years ago: Republican John McCain and Democrat Barack Obama sat down with President George W. Bush at the White House to discuss a multibillion-dollar Wall Street bailout plan, but the session, which also included top congressional leaders, devolved into what the McCain campaign described afterward as a “contentious shouting match.” Republican vice presidential nominee Sarah Palin defended her remark that the close proximity of Russia to her home state of Alaska gave her foreign policy experience, explaining in a CBS interview that “we have trade missions back and forth.” Anti-apartheid activist Kgalema Motlanthe (KHAH’-lee-mah moo-KAN’-tay) became the third president of South Africa since the end of white rule. After a 43-year wait, Paul McCartney performed his first concert in Israel, saying he was on a mission of peace for Israel and the Palestinians. Five years ago: Nearly a dozen of Syria’s powerful rebel factions, including one linked to al-Qaida, formally broke with the main opposition group in exile and called for Islamic law in the country, dealing a severe blow to the Western-backed coalition. Skipper Jimmy Spithill and Oracle Team USA won the America’s Cup with one of the greatest comebacks in sports history, speeding past Dean Barker and Emirates Team New Zealand in the winner-take-all Race 19 on San Francisco Bay. One year ago: Former congressman Anthony Weiner was sentenced to 21 months behind bars for illicit online contact with a 15-year-old girl. North Korea’s top diplomat said his country had the right to shoot down U.S. warplanes, after President Donald Trump’s weekend tweet suggesting that the North’s Kim Jong Un “won’t be around much longer.” Britain’s Prince Harry and girlfriend Meghan Markle made their first public appearance as a couple, attending a wheelchair tennis event at the Invictus Games for wounded veterans in Toronto.